Tired of drowning in your to-do’s? You’ve worked hard to build and grow your wedding business and the hard work has paid off or it is starting to pay off for you. But now you have an almost big problem. It’s a great problem because you are now busy. You have lot’s of clients and have no time for the big things that matter in your business. Maybe you are new to the business but want to focus your efforts on certain aspect of your business that you feel will help you out more. How can we help you? Are finding that keeping up with your social media marketing is becoming too cumbersome? Are you afraid that important tasks are going to start slipping through the cracks (if they haven’t already)? Not to mention, your significant other who feels like the third wheel when it comes to you and your business. Do you feel like your work life is off balance? Not spending enough time with your family? 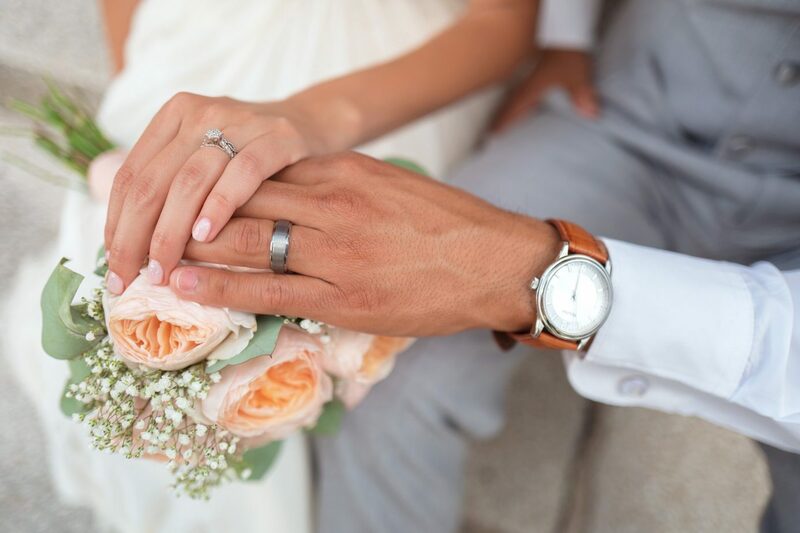 We have over 10 years in the wedding industry and we can help you with the little tasks that will alleviate a lot of stress. Established wedding professionals do have assistants that help them with the little tasks. If you are starting to burn out, stressed or feeling behind with work load, let us help you get back on track so you can focus on the things that you love doing most. Do you want to schedule that gym session into your time? Now you have the time to do it. What you need is someone who is dedicated to your business, gets what you do and reduces some of the burden instead of adding to it. Someone who can take those to-do’s off your list so you can get more clients, make more money, and have more time to breathe. Let’s us help you with this. That way you can feel focused and happy. 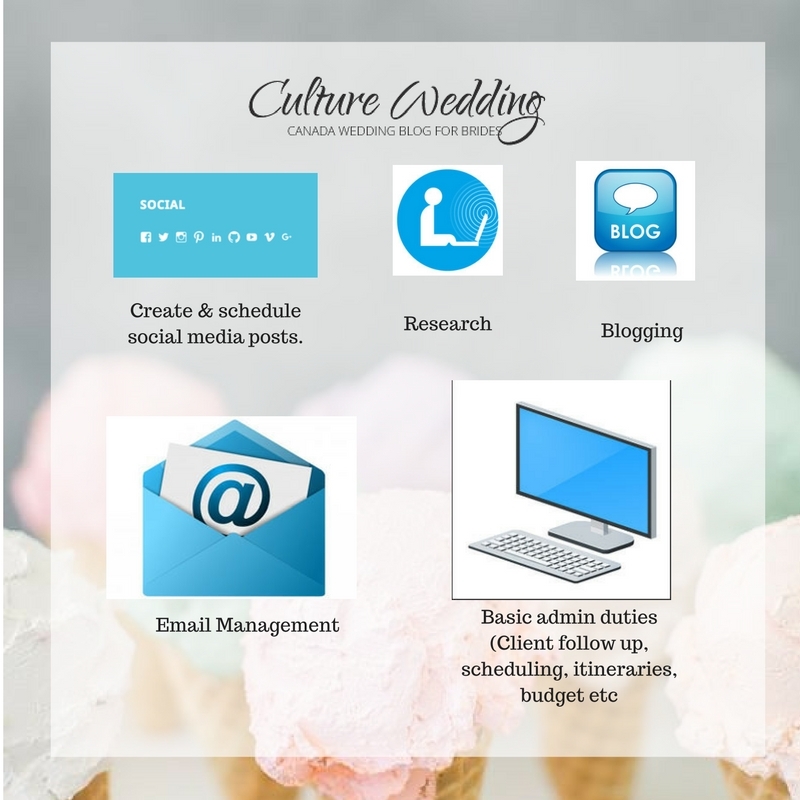 Unlike a lot of other Virtual Professionals, we will work only with a select few wedding professional businesses at a time and I’m your right-hand woman, there for you when you need me. I’m someone who grows with your company, sharing every trial and triumph with you. I anticipate your needs so you feel taken care of and I can handle the little things, so you don’t have to hire a designer, virtual assistant & business coach. How would life be for you if you hire a Virtual Wedding Assistant? You would have a great night sleep every night, waking up refreshed and ready to meet new clients. You social media would be well planned out, you would have zero emails to retain as we would have taken care of it. You would have the time to work on things that your business really needs you to work on. Need more time to grow your business? Now you will have more time in your hand. You will have money and clients flowing in because you now have time to focus on creating a great work flow for your business. You will be more calm, professional, organized and relieved. Need a vacation? Take it without worrying about loosing more business. We understand that your business is your baby and delegating tasks feels scary. But trust us, once you start delegating it gets easier and in fact, you’ll learn to love it. You’ll have more time to take on more clients & create more programs. You’ll have more time to focus on what you love to do. Your business will be organized, automated, & running smoothly. Instead of offering a set amount of hours a month, like most Virtual Professionals, I offer 4 hours of work a week, every week. That way you know exactly how many hours of work you’ll receive each week.